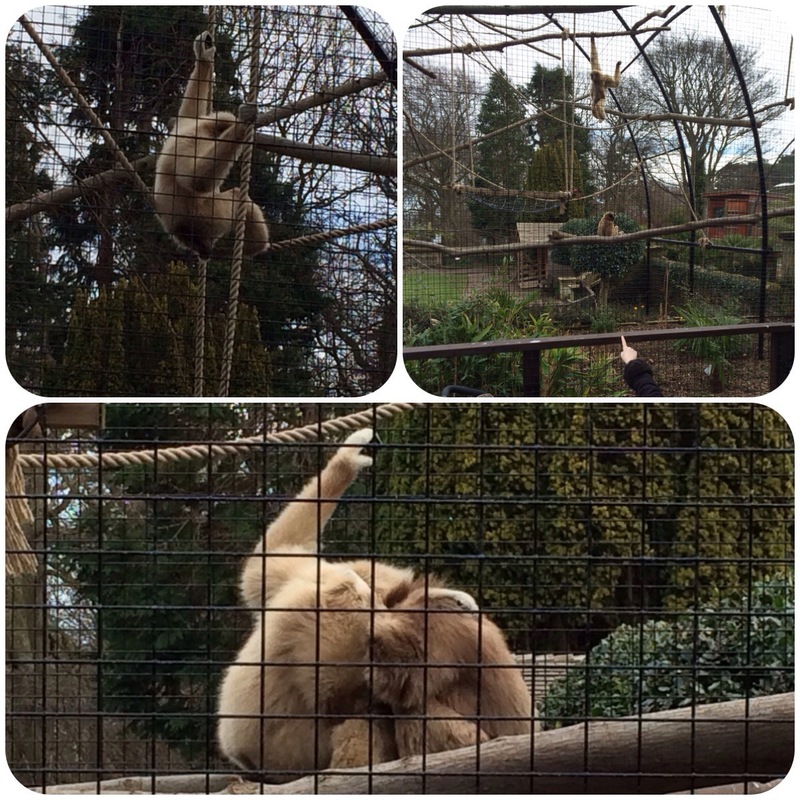 A couple of weeks ago we took Little Miss to visit the Welsh Mountain Zoo at Colwyn Bay. I hadn’t been since I was in secondary school so partly the visit was for me! After paying £23.70 to get in (off peak tickets for hubby and I and a visitor book. No ticket needed for Little Miss as she was able to get in for free since she’s under 3). We parked up and started walking around. 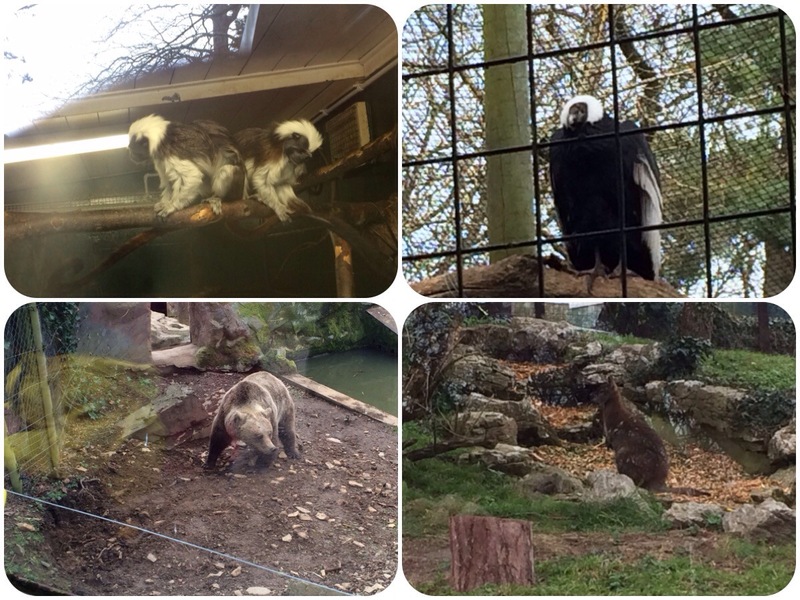 Whilst it was a relatively nice day for end of March it was very windy and rather cold – as you can gather from the name the zoo is situated on a hilltop above Colwyn Bay which is very open to the elements. Thankfully we were well aware of this so we had all wrapped up warm! After parking the first place we visited was the camels as they were directly opposite the car park. . From there we wandered around and ended up by the monkeys. Little Miss did spot them swinging in the trees but not sure if she was bothered! From there we went to see the meerkats. I’m pretty sure there were no meerkats there the last time I visited. I loved watching them play around in their warren. I love meerkats! And not because of the Compare The Market adverts! I’ve loved meerkats since watching Meerkat Manor years ago. 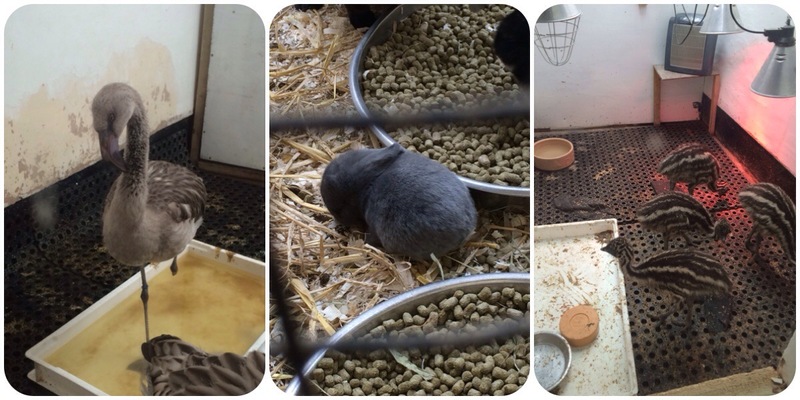 We then walked around to the kiddie farm where young children can go pet the smaller animals such as ducks, bunnies, gerbils etc. There didn’t seem to be anyone around and no animals out which was disappointing because Little Miss would’ve loved to pet some bunnies. She got so excited when looking in on them through the windows. Of course that would make sense since he toy is Mr Bwns after all! She loved running from one window to the next to look in on them. 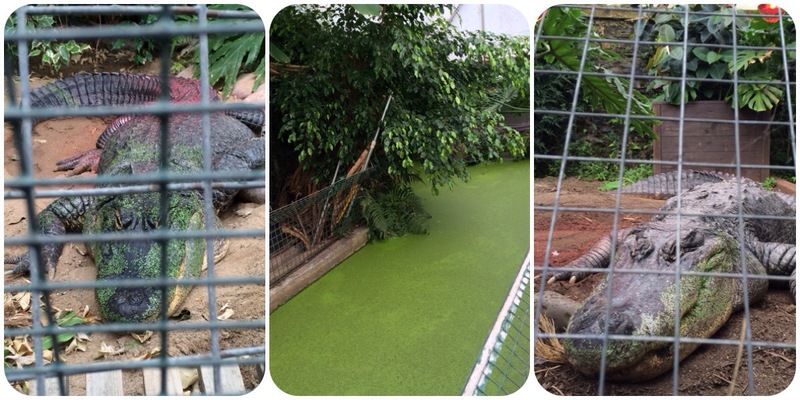 Next to this area is the crocodile and reptile houses. Oh wow the crocodiles or alligators I should say, were impressive! They were huge!! 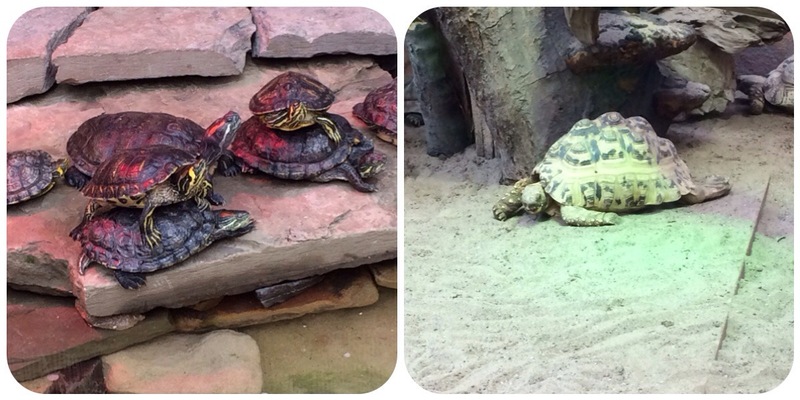 There were a lot of little turtles/tortoises all piled on top of each other in the reptile house. Also the snakes were huge! But I will spare you the photos of the snakes since some people are frightened of them. Huge things! But very still. From here we walked towards the bear enclosure and got to see the big bear, some wallabies, an American eagle and more monkeys. I forget what type these were. As it was lunch we stopped at Safari Cafe which has big open windows along the back with an amazing view of Colwyn Bay and the coast. There is also a balcony which looks down at the tiger enclosure. Unfortunately this is the only good thing I can say about the cafe. The food was rather terrible for the price. Not enough choice and too much like a greasy spoon cafe. Such a shame as it could be so much more. We stayed here long enough for Little Miss to have lunch. I was told afterwards that the Flagstaff Cafe which over looks the penguin enclosure was better. Penguins – never fail to make me smile! We walked down to the tiger enclosure but couldn’t see any tigers out. We had a look through it’s hut window and saw it was sleeping. I don’t really blame him! 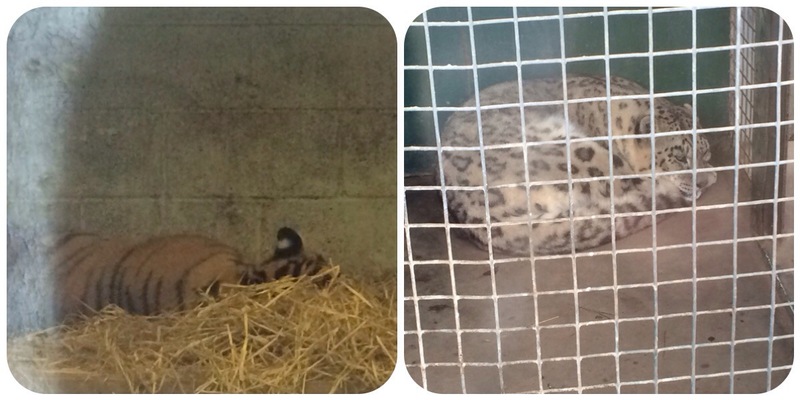 We also went to see the snow leopard which was also having a snooze. We walked onwards to see the penguins which are always fun to watch! 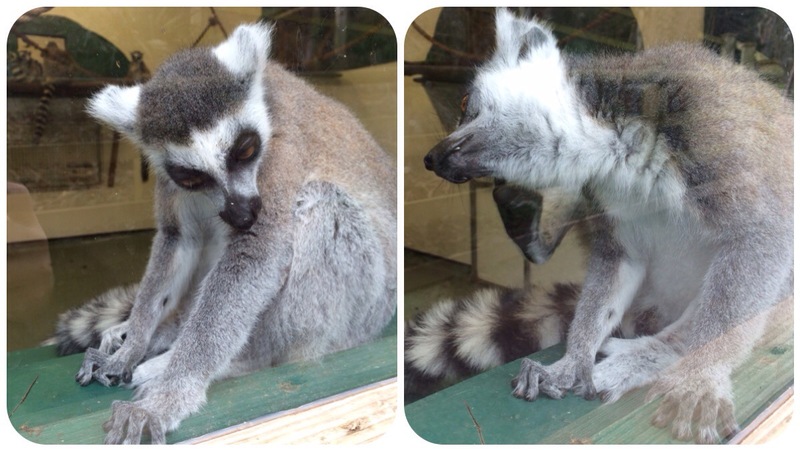 And also visited the lemurs which looks like a relatively new attraction. Later on we saw the penguins walk along the grassy area for feeding and a display show. I love how the waddle! Sorry that the video is not best quality nor very long but aren’t they cute? And look at those seagulls after the fish! Just after this display was the Californian Sealion display. For me this is the best bit of any zoo. I just love watching the tricks they do! It’s fantastic how they can train them. They may be stinky but they are gorgeous things! And Little Miss seemed to enjoy watching them swim and jump around in the water. After that we decided to leave because we had gotten quite cold and the weather wasn’t sure what it was up to. 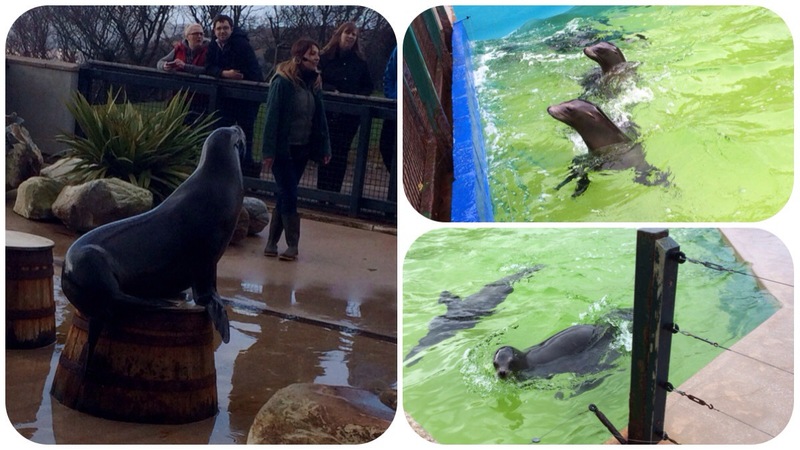 It had started raining whilst we were waiting for the sealions. Little Miss was very snug under her rain cover but we got wet! Aww, the baby emus are adorable! We went to the view on Saturday and I was very disappointed that no meerkats were out to play. The dwarf otters were adorable though – they sound exactly like squeaky toys that you give dogs! Aww shame that the meerkats weren’t out. I love watching them play! And you’re right! The otters do sound like dog toys! King Julien ha ha. I love meercat Manor too. Luke has never watched it so I just added it to the post it that I call ‘things Luke has never seen’ because I know he would love it! 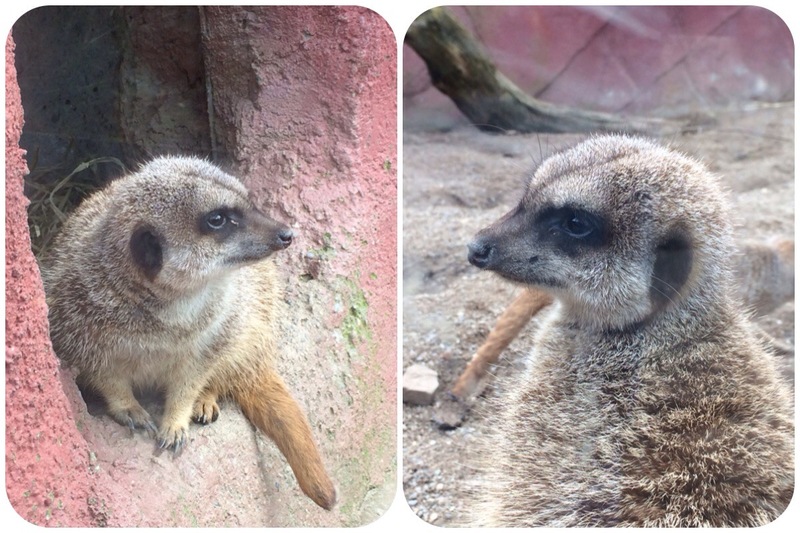 Meerkat Manor was fantastic! I wish I could watch them again. Meerkats are just the cutest creatures ever! this looks like sooo much fun!! I’ve never heard of it! It was fun! But really cold! If you ever visit then be sure to wear plenty of layers just in case!